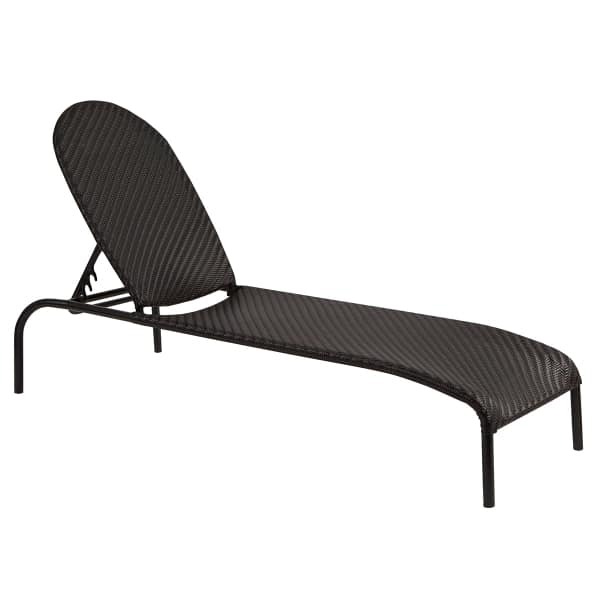 The Barlow Chaise Lounge from Whitecraft by Woodard is a carefree option for poolside seating; constructed of water-resistant aluminum and high density polyethylene wicker, it is ideal for any area exposed to the elements. Simple in design and brimming with good taste, the Barlow Chaise Lounge features an intricate herringbone weave and is available in two finishes; Dark Roast or Bronzed Teak. The Barlow Chaise Lounge is fully adjustable, ensuring the comfort and convenience of you and your guests.